- Which scientists get to use the facilities? What if their country of origin didn’t contribute funding? -Who pays for the used resources? - How open should “open access” be? Does this mean open to traveling researchers? Freely available data? Remote operation and control of experiments? Earlier this week I attended a European Association of National Research Facilities (ERF) seminar in Lund, Sweden. 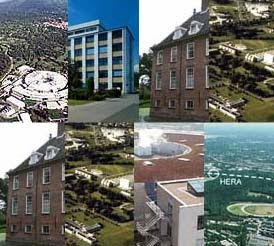 This association promotes cooperation between individual European national large-scale research facilities laboratories, for example supporting research with neutrons, lasers, synchrotron light and ions. I was at this seminar because ERF brings together key research facilities which are excellent potential partners for e-infrastructures such as Enabling Grids for E-sciencE and the European Grid Initiative. This one-day meeting featured a mix of plenary and parallel sessions. The plenaries were rapid, direct and frank – very refreshing for this type of event. The recurring theme of the day was that everyone present was in favour of open access, but the hosting states for research infrastructures often need to be convinced that it is to their benefit. The major point of relevance for EGEE/EGI from this event is that the question of open access is important in its own right for e-infrastructures. As we move towards EGI and NGIs the national funding agencies will want to know how much of their ICT resources are used by foreigners and whether their researchers are getting equivalent treatment in other countries. How can we do this? We must put in place the mechanisms so that we gather the necessary usage statistics to answer the questions that will be raised by the national funding agencies and make a convincing argument for “open access” to e-infrastructures.